Your ability to eat, chew, and smile is impacted by a damaged or missing tooth. A dental crown restores the structure of your tooth that is missing or damaged by decay, disease, or trauma. Your dental crown can be made to match your surrounding teeth. 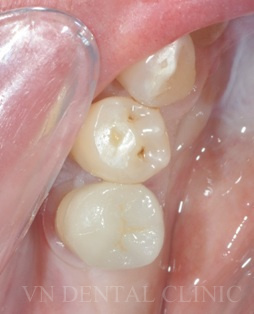 A crown helps improve your tooth alignment while rebuilding your tooth structure that’s been damaged or lost. Crowns are used with dental implant treatment. They are also used following a root canal to prevent further infection from entering your tooth. Your dental crown is created from strong, long-lasting materials. Common materials include gold, porcelain, and porcelain fused to metal. Your crown material is selected according to your tooth condition and appearance goals. Begin your crown treatment with a comprehensive dental examination. This helps ensure that your tooth structure is strong and capable of supporting a dental crown. Good oral hygiene is essential to keeping your crowned tooth healthy and long-lasting. 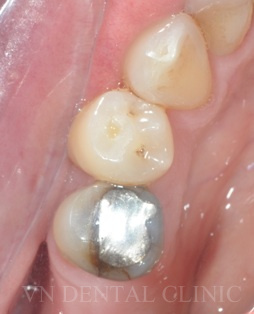 This helps prevent crown failure that is most often caused by decay between the crown and your tooth structure. Contact VN Dental Clinic about your damaged or missing tooth. Schedule a dental examination to discuss treatment solutions including tooth restoration with a dental crown. We only use quality dental labs in Melbourne who construct your crowns exclusively in Australia. A cracked and heavily filled tooth can be protected and strengthened with a life-like porcelain crown.